The aim of the SEAPORT project was to join efforts to find combined innovative solutions for the economic challenge that has occurred in small to medium seaport towns and maritime areas. The project sought to develop new strategies to strengthen the economic position of the seaport towns and their hinterland (maritime areas) and if necessary, redevelop also maritime areas. Through the Reconstruction of port and urban areas the project was able to provide a more tourist based attraction which in turn has led to higher economic growth. Other important themes in the development of these areas included increasing accessibility to public transport and car, which would in turn make the area more user-friendly. One of the key projects within the project itself was the development of a toolkit for economic regeneration in seaport towns. The issue surrounding this was the facilitation and stimulation of the fishing industry by sustainable and competitive means. Through the exchange of expertise between the partners and external experts, this issue resulted in the creation of a practical toolkit for the strategies for a sustainable fishery-complex in future harbours. More specifically it provided an overview of do’s and don’ts. The aim of this was to provide guidelines for others wishing to use the toolkit out with the project itself. In the facilitation of tourism it was realised that investment was needed in the development of information as well signage systems for visitors. 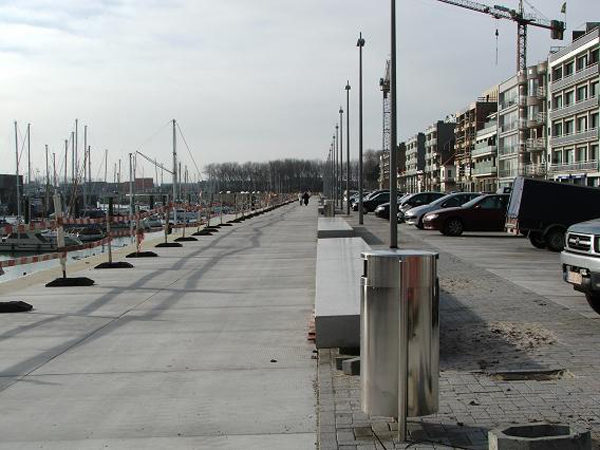 This in particular was investigated in the partner city of Bremerhaven (DE) where these information systems provided information on local cycle routes, pedestrian walkways and also driving information e.g. directions. The creation of new business through a holding and distribution facility has provided new opportunities for local fishermen in Hartlepool (UK). As well as actions on local level, SEAPORT produced a number of results at the North Sea Region level through combining knowledge and experience in relation to the two themes of the project. Through this a joint North Sea related communication platform for sea port related tourism was implemented. Furthermore, a report on state-of-the-art waterfront development in the NSR and 8 fact files containing waterfront development in the NSR were created. The SEAPORT partners identified a lack of communication and lack of information within their own side as well partner organizations. They all apparently faced similar challenges and information gaps. They therefore put into place a web-based communication platform – a knowledge management system – that would be driven by a content management system that would facilitate the interaction and learning between destinations that had knowledge (suppliers) and those that didn’t but could learn from it (learners). This digital platform could also be used to manage a contact information database and launch new ideas and projects by its interaction with and between regeneration professionals with common goals. All practical solutions in this project combine at a local level with the challenges which affect the cities and towns of the North Sea Coast. Each of the partner towns have been able to invest locally and through the above mentioned toolkit for innovation have provided guidelines for other towns and cities to do the same thing; this has lead to transnational co-operation and development. The creation of new business in Hartlepool (UK) has led to some sustainability in allowing for the continuation of employment. This came about through an interesting and unique study to test methods of catching, holding and transporting the crabs from their source to their markets. It has led to the identification of a viable business opportunity which will help local fishermen to diversify into the harvesting of velvet crabs to supplement or possibly replace income lost through declining fish stocks. The Hague (NL) invested in a sustainable design for the Boulevard which would combine sea defence with economic interests, taking into account the specific space of Scheveningen bath, harbour and village. Hartlepool (UK) was awarded the Seaside Award. This award was accredited to the resort in 2005, demonstrating the adherence of Seaton Carew to high quality standards for beach management, first aid facility provision, access for disabled visitors, sands free of litter and dog fouling, water that reaches EU minimum legal standards for cleanliness, and ensuring that this information, together with details on all the facilities on offer at the beach, is displayed on easy to read signs for the public to see. The flying of the distinctive Seaside Award yellow and blue flag throughout the summer months is a prestigious national recognition for a resort and the accolade will add integrity to Seaton Carew as a high quality tourism destination. The SEAPORT investment in signage and investment outlined above has enabled Seaton Carew to be granted the award in 2006, recognising the continued standards of beach management, cleanliness and recognising the improvements that are taking place.